While Barcelona may be a prime holiday destination, what many people don’t know is that it is gradually becoming a world-class innovation hub for tech startups. It’s true. This bustling Spanish city has always attracted travellers by the thousands who wish to escape for a city break filled with sunshine, but lately, sharp-minded entrepreneurs from all across the globe have also turned their heads in this direction. Why? Because when it comes to innovation and technology, Barcelona is thriving and continues to offer plenty of opportunities for promising startups and entrepreneurs to grow and develop. Whether you’re a budding startup, an ambitious entrepreneur, or are just tech-savvy, here are a couple of reasons why Barcelona is the place to be. With more than 1,200 startups in Barcelona, you could say that the city is somewhat of a startup hub and you’d be right. In fact, Barcelona is the fifth hottest startup hub in Europe (for the third year in a row) following London, Berlin, Paris and Amsterdam! What’s great is that it’s continuously growing as well, only becoming more successful and attractive to innovative companies year after year. Looking for a job in tech with a fresh and novel company? Then Barcelona is the place to be! Entrepreneurship is thriving in the city with access to international sources of investment and more than 10,000 jobs on offer to employees. With big international companies migrating into Barcelona, it is no surprise that this city has some of the best tech profiles and is host to the most technology-related meetups annually (including the mobile industry’s major international event – the annual Mobile World Congress!). 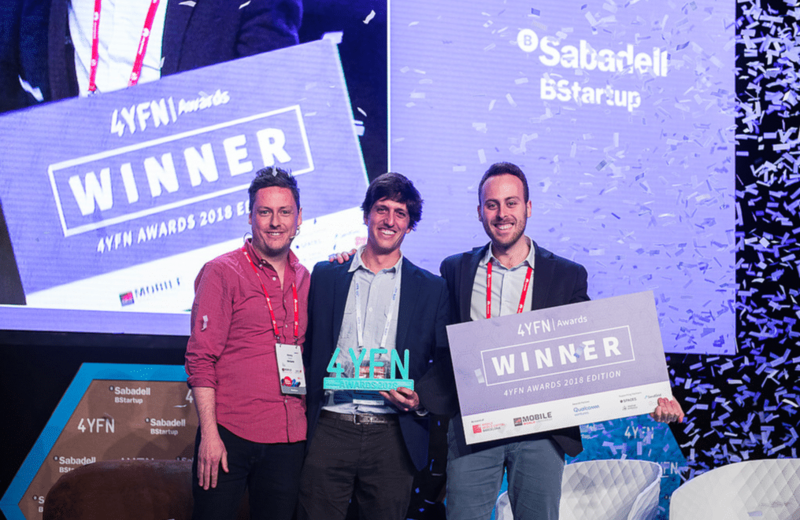 This Congress in particular, 4YFN (4 Years From Now) Barcelona, is the fastest growing digital startup event in the world where it aims to connect startups with top investors and corporations. Boasting the largest gathering for the mobile industry, it is expected that over 19,000 people and 600 investors will attend the congress in its 5th edition this year. It has been ranked as one of the smartest cities in the world! A smart city is one that uses different types of electronic data collection sensors to gain information that can be used to drive economic activity, accelerate innovation and better manage energy, resources and services. In 2015, Barcelona was ranked as the smartest city in the world, earning the title for outstanding achievements in smart grids and smart traffic management smart street lighting and the city’s overall technological capability and social cohesion. This is great for its status as a major tech hub and for the efficient management of its startup ecosystem, but what is more is that it was also praised for its environmentally sustainable initiatives. If you’re into tech, Barcelona is the place to be, especially in the 22@ Barcelona Innovation District in Poblenou which is a dedicated centre for innovation and technological development! With the entire south-eastern quadrant of the city being transformed into this innovation hub, there is no better place to immerse yourself in new technology. Primarily attracting startups and freelancers, this district is full of some of the most innovative companies and vibrant co-working spaces where everyone co-exists together. For anyone who wants to work in tech or become an entrepreneur, Barcelona is the place to be! With some of the world’s top-ranked business schools (such as IESE and ESADE which are also among the 10 best business schools in Europe) and design schools (IED and BAU) located in Barcelona, this makes the city a prime location to work and study. Not only that, but all of these schools and universities also attract many aspiring and enthusiastic individuals from all over the world which means a great network of both local and international talent. Although people may assume that there is a shortage of early-stage capital in Barcelona, the reality is quite surprising! The city is actually packed with a few major investment firms such as Nauta Capital and Active VP, as well as well-known angel investment groups, all looking to invest in promising tech startups. What’s more is that the city is also full of local and international angel investors (over 100 of them!) all looking to help businesses progress from this early stage to bigger and better things! When looking at the country as a whole as well, it is amazing that Catalonia attracts approximately 56% of the total investment volume in Spain (€659.4m) and 33% of all operations. Moreover, on international VC investments, Barcelona accounted for 53% of all deals and 71% of the amount invested in Spain (€277.2m). So, what do you think? Is Barcelona the place to be for a tech-enthusiast, startup or entrepreneur? We think so! Combined with the amazing lifestyle that the city provides, Barcelona has an ecosystem that entrepreneurs can thrive on. Trust us when we say that it won’t be long before you’re making key contacts and discussing exciting collaborations in the future.